Alex Crossan is a 20 year old producer from Guernsey and goes by the name of Mura Masa. His self titled debut studio album has been a few years coming and in that time he’s went far from the typical tales of bedroom recordings. His suggested talent is matched by the calibre his collaborators for his debut album that include Damon Albarn, A$AP Rocky and Christine and the Queens to name just a few. He has a lot of backing already and a lot of time to promote his sound with singles and EP’s that included collaborations with Charli XCX. With that in mind, the expectation is high. The key for an artist like Alex is of course finding the right artists to complement his sound and he’s effectively giving parts of his album away and entrusting it to someone else. That should be taken into account too before passing too much judgement. ‘Second 2 None’ features Christine and the Queens. Christine or Heloise Letissier when she’s off stage, had shown last year how adaptable and slick her work was in a variety of musical environments and Alex provides another with this track. This track features faux kettle drums, trap drops and distorted beats. This is fused with a broken string sample and from there Christine shines. The heavy, and at times simple arrangement allows her to take command of the song with her imposing accented vocal which fits into the intricate harmonies Alex’s production creates. He even uses her vocals as an added layer of instrumentation in the form of vocal sample. The track is subdued and restrained, yet still retains prominent hooks and a Pop infectiousness. The album concludes with ‘Blu’ featuring Damon Albarn. Alex’s distorted and auto-tuned vocals whirr and twitch as Albarn’s equally warped vocals join in harmony. Damon’s vocals gradually lose their electronic effects as the verse goes on however. The two constantly shifting vocals are manipulated to compliment each other at all times and the soft churning electronica nudges the song along. ‘1 Night’ is the minimalist dance track that features Charli XCX and again he utilises her vocals as an instrumental tool on top of typical Pop beats that sit well with Charli’s bold Pop vocals. What is impressive about this song is the lack of parts to it and an attention to small details and changes that most Pop songs do not have. There is more to this album than just well produced Pop music though; ‘Nothing Else!’ featuring soul singer Jamie Lidell is a slick and rhythmic affair with which he manipulates bass lines and guitars to generate a late Eighties style with prominent modern features. ‘Helpline’ features Tom Tripp and his lyrics are fitted around a driving and unrelenting rhythm driven by bass lines and percussion. The percussion is gradually muffled at the end of each verse to signal the synth driven chorus. This track shows the versatility of Alex in that his tracks are more than moody and well produced affairs. ‘Firefly’ features vocals from the talented NAO and here he created an AlunaGeorge type track in how it openly embraces its Dance features. Meanwhile ‘Love$ick’ featuring A$AP Rocky is a cool yet inctricate track that tailors its soundscapes for Rap sections and it again shows his versatility with different artists and genres. No matter who it is, he seems to generate hooks out of them one way or another. His method could be seen as a little repetive at times as those faux kettle drums get rolled out once or twice too often, but for a debut album sound that can be forgiven. It is a solid start and from here, he can only go on to refine and redefine his sound and if he does this right, he could be our next great producer. Alex Crossan is a 20 year old producer from Guernsey and goes by the name of Mura Masa. His self titled debut studio album is out on July 14th. His suggested talent is matched by the calibre his collaborators for his latest album that include Damon Albarn, A$AP Rocky and for his latest track ‘Second To None’ with Christine and the Queens. Christine or Heloise Letissier when she’s off stage, had shown last year how adaptable and slick her work was in a variety of musical environments and Alex provides another with this track. This track features faux kettle drums, trap drops and distorted beats. This is fused with a broken string sample and from there Christine shines. The heavy, and at times simple arrangement allows her to take command of the song with her imposing accented vocal which fits into the intricate harmonies Alex’s production creates. He even uses her vocals as an added layer of instrumentation in the form of vocal sample. The track is subdued and restrained, yet still retains prominent hooks and a Pop infectiousness. All eyes on his debut album. In true Gorillaz style, while facing huge political scandal and contentiousness, Damon Albarn, Jamie Hewlett and the cartoon clan reappear with their new album Humanz: as if to say ‘yes, the world may be going down the drain, but at least you’ll have the perfect playlist to listen to as we all go down with it.’ In an LP exploring both the beauty and the hideousness of human life, this bitter-sweet composition is powerful in its messages, yet falters in its execution. Humanz is an apt title for an album in which such an eclectic range of individuals congregate to share their talent and experiences. From the punchy, dominant rap of Pusha T to the feathery whispers of D.R.A.M, Humanz truly is a celebration of what individuals have to offer. We are given glimpses of multiple perspectives, such as from black people in America (Ascension); the unnerving juxtapositions of these stories paired with the upbeat robotic backing tracks are statements in themselves towards the political doom the tracklist illustrates. Gorillaz comeback single – Hallelujah Money, featuring Benjamin Clementine – was a soft riot of a track upon its release on the eve of Trump’s inauguration. It’s slow, wispy and poetic; a passive-aggressive declaration. This suitably precedes the standard tracklist’s closing number, We Got The Power – the album’s most hopeful tune. It’s bold both in its prevailing claps and formidable synths, but also in it vocals, as Jehnny Beth jubilantly roars the lyrics, alongside a cameo appearance from Noel Gallagher, putting aside the Brit-pop enmity for this much-needed spirit-booster. After all the stories of despondency, feelings of inferiority and worry about the Internet’s power, We Got The Power ties the album up with a unifying and revitalising bow. With diverse styles comes a range of musical influences. Heated reggae teems in Saturnz Barz through Popcaan’s distinctive vocals. Pure mechanical hip hop takes hold on Momentz. Carnival, featuring Anthony Hamilton, is slick and soulful. Busted and Blue takes a whole different approach in it’s quiet melancholy. Although the disjointed feel given by the mismatch of genres well represents the idea of the insecurity and unpredictability that delivers the foundations for this album, it sounds just that – disjointed. And not in a good way. Having said that, songs like Busted and Blue and, my personal favourite, Andromeda, have a chilled edge to them that offer an opportune break between much more party-appropriate tracks. Each individual song is good – cleverly written and instrumentally sound – but the sheer amount of them makes for a busy and overflowing tracklist. Overall, Gorillaz’s new release is quite what I expected – unique, computerised, political. But whether it’s been pulled off in the right way is debateable. After a long 6-year break, Gorillaz co-creator Damon Albarn promised a new direction in terms of the virtual band’s style. 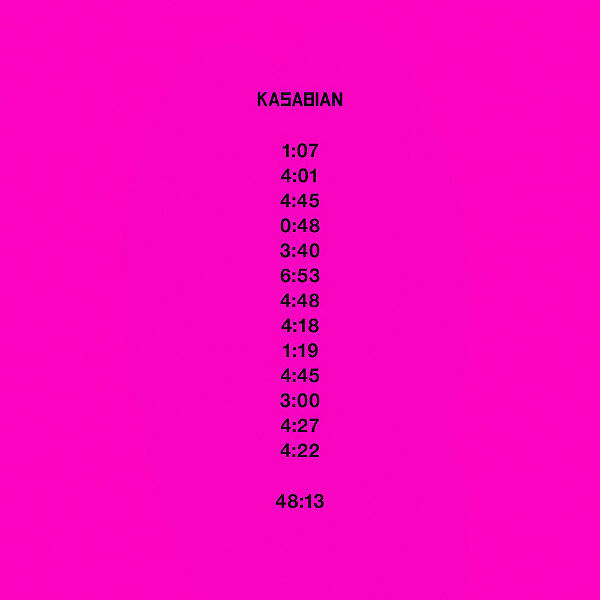 The four new tracks that dropped hours after the announcement of Humanz definitely seem to indicate this, with simmering hip-hop and hints of house. Gorillaz have a knack for fusing genres together, and Saturnz Barz is a true symbol of this great gift. It’s dark and grungy, whilst still incorporating a flamboyance through the bouncing reggae-rap vocals Popcaan provides, driven by a sizzling bass and otherworldly synths. The track has an interesting hip-hop edge, with a bit of robotic eighties/nineties-ness bubbling up towards the end; this intermingling ties perfectly into the mysterious ambience Gorillaz feed upon. Andromeda is the closest to house these four newbies get, with its effervescent intergalactic warps and echoic vocals. The track immediately draws listeners in with funky percussion and swimming synths, and with its infectious chorus, it’ll be one to have stuck in your head for days. The soft voice of D.R.A.M blended with Albarn’s own compliments the mechanical feel of the track, giving the song a tinge of something quite unique and quite brilliant. Vince Staples gives his vocals to Ascension, the track with the most vitality. Staples’ manic rap sprints alongside throbbing beats, with a catchy chorus and bursts of unpredictability interwoven throughout. Despite having so much energy, I think this is the weakest track – it doesn’t have a whole lot of substance and is extremely repetitive. Gorillaz’s incredible power to captivate seems to be lost on this one. We Got The Power completely conflicts the messages Hallelujah Money puts across – the anti-Trump protest track released the night before his inauguration – in its unifying lyrics and spirited splendour. The muted tones of Damon Albarn beautifully contrast the animated joy Jehnny Beth delivers. It brilliantly allegorises the coming-together of all sorts of people, carried by bold, toe-tapping beats. The album title of Humanz has been chosen well; the theme of being human snakes evidently through these new releases, giving several perspectives in each offering. Even when inundated with electronica, the very raw ‘human’ element brings these tracks right back down to earth – a huge, huge asset and something the diverse temperament of Gorillaz could only really yield. Twelve years beyond their last album and a whole sixteen years after Graham Coxon’s last contribution to an album in 1999, Blur are back with the much publicised and promoted The Magic Whip. Their eighth studio album was very much unplanned and unexpected in Albarn’s eyes. He believed their performances in 2012 were the last of Blur, but when he was played back the rough recordings of the bands five days of recording in secrecy at Avon studios in Hong Kong; he and Coxon knew there was something promising. The recordings were worked on with old Blur producer Stephen Street and Albarn fleshed out and refined the recordings to have the album released this week. Though the production of another full studio album by one of Britain’s all time great bands is a momentous occasion, it would be optimistic to think that with this album would be their best or offer anything vastly different. It is still Blur though, so we should expect something of that standard at least. ‘Lonesome Street’ feeds off from a dulled synth into the rattling back and forth of the typical Blur instrumentals and the light popping electronica flashing from it. The song peaks and troughs easily as directed by Albarn’s more mature, but still typically familiar vocal style along with the Beatle-like backing vocals and the occasional, but prominent electronic chords that gives the song a great sense of familiarity and comfort. ‘Go Out’ is more reminiscent of 13 era Blur with scratchy Coxon guitars, it’s great sonic charge and Albarn’s more slurred vocal.Unlike this version of Blur however, is the greater point of focus and direction running through the track that comes from the tightened bass-line from Alex James and the wiry guitars shredding their way though the distorted interior of the instrumentals. ‘My Terracotta Heart’ is made up a hand clap and distant rhythm guitar section that meanders it’s way in and out of focus. It’s a delicate and minimalistic track that focuses on more melodic and harmonious vocals from Albarn, yet it still has a keen sense of originality about it and a less than obvious engagement. ‘There are too many of us’ has marching-like percussion from which the typical instrumentals and string sections flow. Damon’s vocals are set though a megaphone-like echo. This adds to the instrumental flow to create a distant and gazing opening to the song. As the bass comes in and the percussion picks up a greater purpose, there is a more rotating feel to the song’s progression. It’s a track with a great balance of contemplation and a culmination of sound which sees the song come to some sort of fruition without abandoning it’s ideals at the start. ‘Ong Ong’ is very much a faithful tribute to Blur’s past dizzy heights. It’s droning backing vocals and light glazed distortion do nothing to separate Blur from themselves in 1995. With other track’s there is a familiarity, but still a fresh feeling of engagement from it. This isn’t existent here. ‘New World Towers’ and ‘Thought I was a Spaceman’ offer up the truly modern version of Blur though modulated minimalism and more expansive, contemplative production. It’s an album that does strike that balance of familiarity and novelty in a way that they haven’t promoted enough. Having said that, if you’re a multiple decades devotee or someone born long after ‘Parklife’ then you can find something to take from The Magic Whip. With the news of the first Blur album since 2003 with The Magic Whip; why not have a taste of their very first with their debut album Leisure. One of the main singles from this album was ‘She’s So High’. Recorded and released in 1990 it was a sign of the decade to come with the slack, distorted riffs and the bouncing bass lines with hints of the decade it had left behind with the echoed percussion and faithful early shoegaze tinged vocal. Unlike elements of the genre today, each part of the instrumentals are easily distinguished from one another whilst the spacious quality is still created chiefly through Damon Albarn’s strung out and daydreaming vocal with Coxon’s harmonies extending it. The ‘Madchester’ elements from this song are undeniable too, yet it’s clear with this track that Blur had a slightly more broadened outlook at the time and it would serve them well throughout the decade. Top Ten Albums of 2014!!! This year has been an excellent yeah full of skilled musicians and many masterful albums. Unlike in 2013 the mediocre has been pushed aside by the sheer mass of talent on display. Everyone from the emerging artists, legendary names and artists fully coming out of their shell to maximise their full potential have all made 2014 a year to remember; so much so that albums from artists such as Black Keys, Broken Bells, Temples, Mac DeMarco, The War on Drugs, Kasabian and more have all failed to crack the top ten when any of their albums would have done so in 2013. Julian Casablancas is a man who has already sought claim and success with The Strokes over a decade ago and also received recognition for his debut solo album back in 2010 which ultimately culminated with the accomplished ‘Instant Crush’ single in collaboration with Daft Punk. For 2014 he teamed up with the self made Voidz and intended to break down all barriers to experimentation as he combined a multitude of sounds and methods with the only piece of continuity being the fuzzy and murky recordings. Despite some aspects not gelling together; most of the album worked in a refreshing and eye opening fashion. With a little refinement and the odd tweak we could have been talking of Tyranny as number one on this list. Full of mystery, intrigue, reflection and honest cynicism. An album that remains slightly lost in the thoughts and feelings of Damon Albarn, but what a place to be lost in. It flows or even trickles along from one song into the next and through peeks some moments of real beauty, but considered beauty that doesn’t require a big ‘Michael Bay’ style conclusion. It requires a considered and thoughtful person to listen to an album from a considered and thoughtful man (oh and one hell of a musician too) For a debut album too? Remember the name…. he’ll go far this one…. An accomplished piece of expansive art rock. Despite it’s growing and expanding sounds that they produce with ease; this album usually incorporates a captivating central element to it’s songs that filter out a hopeful atmosphere into a murky and lingering gloom that keeps you perched on the edge of your seat as the trepidation never ceases. At times too, it really has a keen sense of rhythm and stylistic individuality. This isn’t an album for the ‘TV Dinner’ type of listener looking for a loud and crashing quick fix, but a perfect example of production discipline and manipulation around a strange yet keen sense of rhythm. 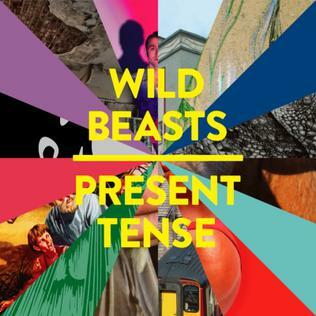 Wild Beasts produced an album that remained close and intimate as it kept all the bursts, transitions and awesome shifts in sound right by you; not in a distant and fading manner that is far off and out of reach, but something you felt coarse right through you as it bounces and shoots about your head with every synth glow and crisp riff. On top of this, it has an excellent lyrical dimension to it too which focuses it in even further, whether it’s the pulsating art rock, the sweeping electronica or the wistful ballads of Present Tense. Too Bright was bold and remorseless with every track on what was a varied album of fluctuating tones and emotions. Some of the tracks soar high and deliver shivers, crisp and gleaming delivery and dramatics of the soft edged ballads. All of this was done in a consistently slick and stylish fashion whilst not sacrificing any ounce of musical feel or quality which is an ever present throughout the album. She has been a revelation and a saviour to pop music this year in much that Daft Punk were pop saviours in 2013. FKA Twigs went about it in a very different way though. She’s blended together parts of hip hop, R&B, electronica and pop melody with an understated, yet confident projection through her delicate, at times whispering vocal, but with complete melody throughout. She’s given the growing sophisticated pop genre a direction and a purpose with this innovative and refreshing album with both modern, relevant music and lyrics to go with it. Now the only problem she has is following this up for it will be a great task. 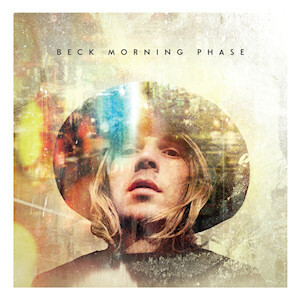 Beck makes a long awaited return to steal you dangerously from this planet and into the soaring and unfamiliar unknowns. You don’t pass through each song, but it passes through you. From the quaking, roaring and frightful instrumentals to the warm and radiant expansive ballad, down to the comforting acoustic tracks; this album takes you on a journey like no other album has this year. It evokes so many different emotions that you almost feel empty and cold by the end of some tracks. The best vocal and instrumental delivery of any album so far this year.